Girton village is a village of approximately 4,500 residents, 3 miles north of the centre of the city of Cambridge. 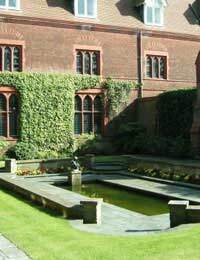 Nestling within the East Anglian so-called 'green belt', the village is well-known for Girton college, part of Cambridge University, and the beautiful grounds surrounding the college. The village also supports a primary school, a school for kids with special needs, a plant nursery and several shops, a post office, general stores, and a few pubs.It is a pleasant place to live, with a good sense of community, including an active parish council, lots of green spaces, and easy proximity to one of the most vibrant cities in the UK. A important recent community initiative in the village has been the establishment of the community-led Sustainable Girton Project. The group is committed to developing village-scale solutions to the environmental problems facing the world. This grass-roots approach, on a local level, is increasingly popular as it demonstrates that every individual can and should take responsibility for their actions. Acting together as individuals within different levels of community is a uniquely empowering and educational experience, as members of the Sustainable Girton Project are finding. Their aim is to make the village a waste-free, carbon neutral community. They plan to do this by making use of renewable energy, conserving its natural environment, promoting energy for sustainability, and encouraging a strong local economy. This bold vision for the village is both ambitious and attainable. A large-scale shredder has been loaned to the village on a monthly basis. This is used to shred large quantities of garden waste, which will then break down much quicker as compost. The group advertises the date and location of the shredder, and can then use the event as an educational tool to educate about recycling and sustainability. The group organized a 'shred your Christmas tree' event after this past Christmas. The group has organized a village-wide collection of unwanted domestic items for re-use and recycling. This includes a collection of unwanted tools for the charity 'Tools for Self Reliance'. A seed swap event for gardeners, and a master composters programme, which brings in skills and training to encourage householders to compost, and to use the compost well in their gardens and local green areas. The group is involved in widespread networking and sharing of skills and resources, both within the village and further afield. The project intends to focus in the future on educating about sustainability, and engaging more with local people in the area to consult and work together. So far, this has involved participating in a feasibility study to consider alternative energy generation for public buildings, including the local primary school. The website of the group is already a good resource for sustainable thinking, giving advice and links on issues of green energy and other practical steps for householders to live sustainably. The group is planning to evaluate the village's carbon footprint. Initiatives like this can only be beneficial for individuals and the whole community. On the social level, working together on issues like recycling can bring neighbours together, finding solutions in waste reduction. It can also make an area physically more attractive, if green spaces are protected and valued, and used by the whole community. Thinking sustainably is good for the planet, as well as the people!